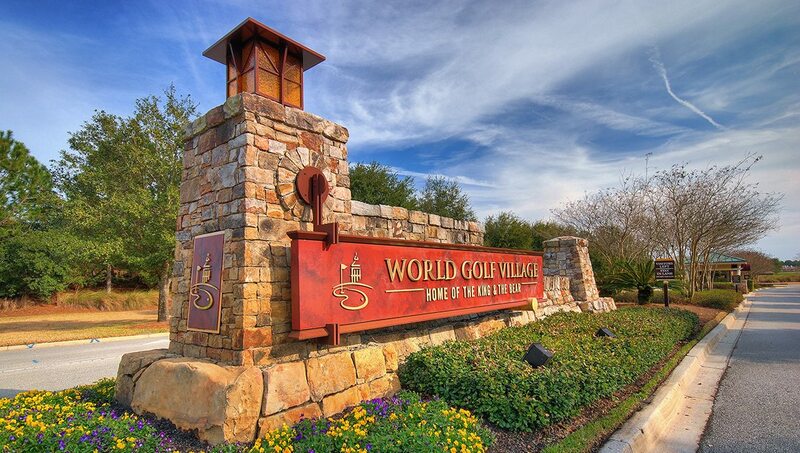 King and Bear (Arnold Palmer and Jack Nicholas) designed golf course in World Golf Village. There are many neighborhoods that surround the famous King and Bear golf course. Hidden behind gated access with many amenities from a lap pool, exercise facilities, club house, spas, hair salon, walking trails, and much more. Choose from family neighborhoods, to townhomes/condos, to pristine Estate homes overlooking water and golf views. Buy a lot and bring your own builder no time frame to build.